Snowmass, Colorado, USA -- It started out as curiosity and over the years has turned into a welcoming second home filled with warm, easy-going, organic friendships. 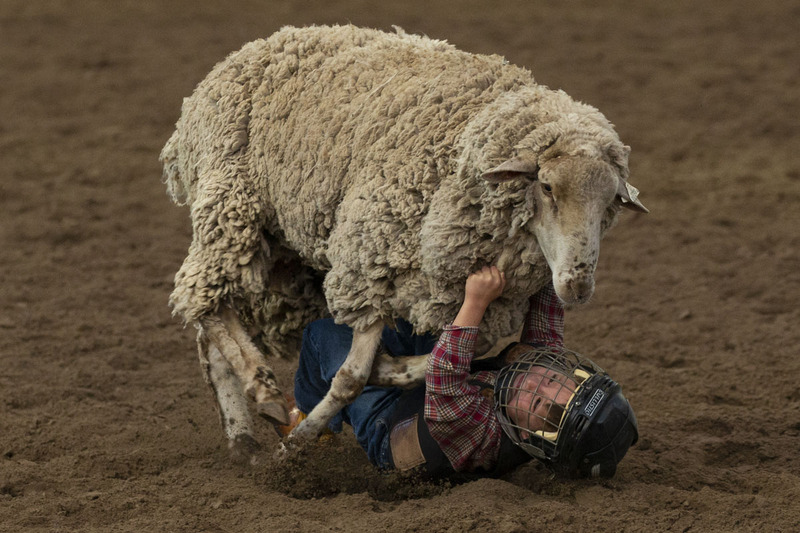 For someone born and bred on the east coast of the US like me, a rodeo is something from another world. 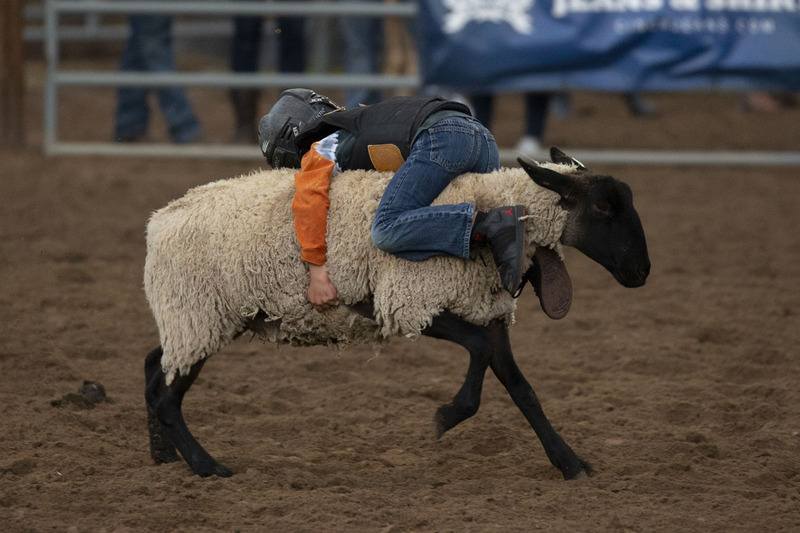 So when I first stumbled onto the Snowmass rodeo while on vacation in Colorado, it was just an oddity of the West. A photogenic one. As a photographer, I don’t really go anywhere without a camera, so I started asking around if I could take pictures. I was pointed in the direction of a middle-aged woman in jeans, a cowboy hat pulled low, a bandana tied around her neck. She was very open, telling me that I was welcome to take pictures, but that a rodeo can be very dangerous for someone who doesn’t know what they are doing and advised me to stay out of the way. Only later did I find out that I was talking to a legend of the rodeo world, Darce Vold, whose family has been in the stock horse business for decades. They basically supply animals to rodeos all over the country. She is also the executive director of the Snowmass rodeo. But when we spoke, I didn’t get a hint of her stature. That’s just how it was in this new world -- people were just very laid back. As a photojournalist, developing relationships is key. You do it wherever you go, because it helps you take pictures, especially if you’re a freelancer like me. So as soon as I had the go-ahead from Darce to wander around, I began talking to people. I happened to hit it off with one particular guy. Like Darcy, he was open and friendly and without airs. He asked where I was from, what it was like. We talked politics for a bit. He told me that he managed a ranch nearby and that if I ever wanted to come out and take a look, to just show up. That kind of bowled me over. Nobody in Washington tells you to just show up at their home. So a few days later, I bought a bottle of whiskey and showed up. He took me on a tour of the ranch, we spent hours just talking. As the line goes, it was a start of a beautiful friendship. The guy was Jim Snyder, the rodeo operations manager. And because of the whiskey-drinking and star-gazing that I’ve spent with him I’ve been able to get into areas of the rodeo that other photographers wouldn’t be able to access -- he’s the guy in charge of the operations and people know that I have his ok to wander around. This has resulted in some nice photos, like this year, when I was behind the chute as the riders prepared to go out into the arena. The proximity allowed me to get some nice pictures. It also led to a close call, as I came close to being kicked by a bucking bronco. I’ve been coming out to Jim’s ranch every year since. It’s a different type of friendship. We come from completely different places. For me, it’s just so refreshing to talk to someone who is so easy-going and laid-back and open to being photographed and talking about his way of life and how the rodeo, once such an integral part of the landscape out West, is dying in a way. One of the ways that I lucked out is that the Snowmass rodeo is a small one that has as its mission educating people about this tradition, which little by little is receding throughout the West. The location helps -- Snowmass is near Aspen, which attracts tourists from all over the country and from all over the world. The first time I came, I was standing next to a family from France. 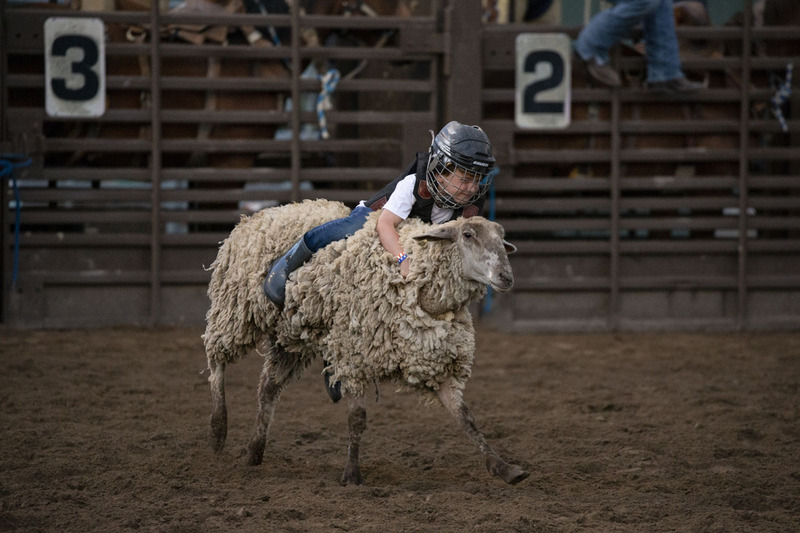 To get the next generation hooked, the rodeo offers a kids’ competition -- “mutton bustin',” where the kids sit on a sheep as it’s let out in the arena and try to hang on. It’s just one of the things that underlines how open to outsiders this rodeo is. They’re really about sharing the experience with people who don’t know what it is. So the announcer will explain what’s happening in the arena. It’s a small town type of feel. A rodeo is so mesmerizing to an outsider like me. Part of it is lore -- it is so ingrained in the tradition of the West. It’s also a uniquely American thing. It feels much more intimate than watching a professional sports game. And for me as a photographer, it’s fascinating because it’s a ritual that’s choreographed with light. You start off in full sunlight, go to dusk and end in the night. It makes for some great images. Another thing that has struck me is how open people are here to an exchange with someone who comes from a different background. A complete outsider like me can come in and be welcomed as part of the community. I would wager that many of the people who work there are supporters of President Trump. I am a member of the media, one of his favorite targets. But over the three years that I’ve been coming here, I have not felt any change toward me as the president’s rhetoric against the media has gotten more and more virulent. Or take my dressing habits. The first year that I stumbled into the rodeo, I stood out like a sore thumb, looking like I was ready for a hike. The second year, I overdid it, dressing in what I thought a cowboy would wear and looking a bit ridiculous. This year I was somewhere in between, but still not really fitting in. And not once did I ever receive a sideways glance or a comment from anyone about it. They just accept me as I am.